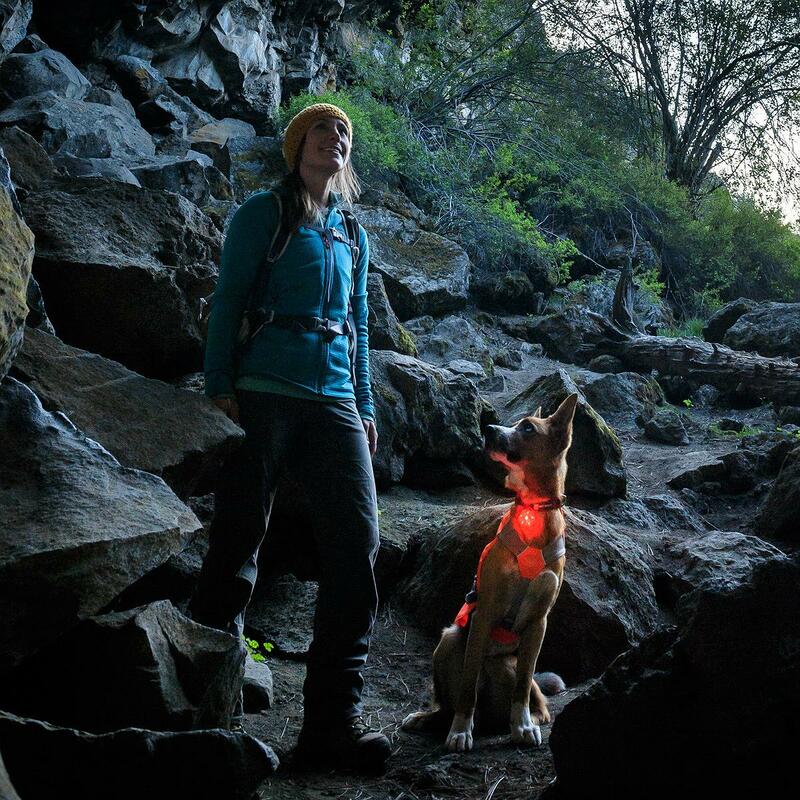 Light up the night with "The Beacon," a dog light specifically designed for animal safety in low-light situations. We love the Beacon Dog Collar Light's sturdiness and versatility! 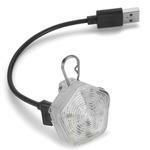 This dog-tested light is compact, watertight, lightweight, and easy to use. Plus, the LED bulbs (included in package) never need replacing! Its clear shell enables light to travel in all directions. 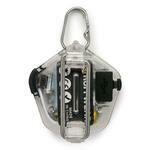 The Beacon clips onto collars, harnesses, jackets, and packs, making this a light that can truly go anywhere! Great for sporting, hunting, backpacking, hiking or even a walk in the neighborhood! Includes a 15cm charging cord. 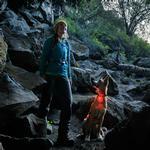 The Beacon Dog Safety Light by RuffWear Customer Photos - Send us your photo! The Ruffwear Beacon is the best light he's ever had. It doesn't dangle so the damage to it is minimal. It's been months and it hasn't cracked like all his past ones, it did need a battery change but buying batteries is way better than having to replace the entire light. Posted On 11/01/17 by Hae J from , CA Yes, Hae J recommends this product! I have been looking for something like this for a long time and I finally got on. So happy with this product, easy to charge and very bright. Also really easy to attach to either the harness or collar. I wish you guys will carry more in the future because I need to buy more. Posted On 06/28/17 by Linda S from Greencastle, PA Yes, Linda S recommends this product! 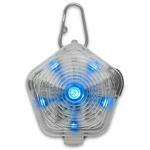 This light is a great idea to keep your dog visible at night whether the dog is in the back yard or walking with you. I use it most often when traveling with my dog and staying in cabins. I can put him out and keep a close eye on him at all times. It easily attaches to various clothes by RuffWear. It is sturdy and well designed. Posted On 11/30/16 by Felix W from Albany, NY Yes, Felix W recommends this product! The Beacon may not be perfect but we can't find one that is more perfect on the market. The screw-free design on the new model is a real improvement: it's easier to change batteries and it's much more water resistant. We use them on Emmett (a peripatetic Border Collie) and Hobbes (a placid Black Lab) and, when it gets dark, they get a many compliments when we walk the city streets or the golf course. Posted On 03/08/16 by Julie G from Old Chatham, NY Yes, Julie G recommends this product! Easily snaps on to all RuffWear products (fleece, jacket, etc). Convenient in that it has two ways to attach (clip and ring). Looking forward to test it out fully in the warmer months ahead. Posted On 01/28/16 by Paul H C from Brooktrials, CA Yes, Paul H C recommends this product! Now that it is dark in the early mornings and early evenings, we needed a safety light to be seen on our street. The Beacon Dog Safety Light is perfect. As we cross the street, we can be seen by on coming traffic. The light attaches easily to her lead. Great product. Posted On 09/24/15 by SHN from San Francisco, CA Yes, SHN recommends this product! My pups and I are huge fans of Ruffwear because of its quality; again, this light met and exceeded the standard, the red light is bright and the switch is very easy to turn on and off. I also love that not only it has the typical standard hook to hook onto the leash/harness/collar, but it also has the clip-on function that is equip with the Ruffwear lifejacket. Posted On 11/08/13 by Rachel F from Hollister, CA Yes, Rachel F recommends this product! Tikal wears this when we walk on mornings that are still dark. I love that it has different flashers and one solid light that are easily changed. It is light and non obtrusive. Posted On 11/08/13 by Dog Walker from Black Mountain, NC Yes, Dog Walker recommends this product! This LED light is wonderful. Now that winter is approaching, I often find myself walking the dog in the dark. The light is very visible, especially when it is flashing. I put it on the dog leash but it could be attached almost anywhere. It would be terrific for parents who want to keep track of their children when they are Trick or Treating. Good, well constructed little light.